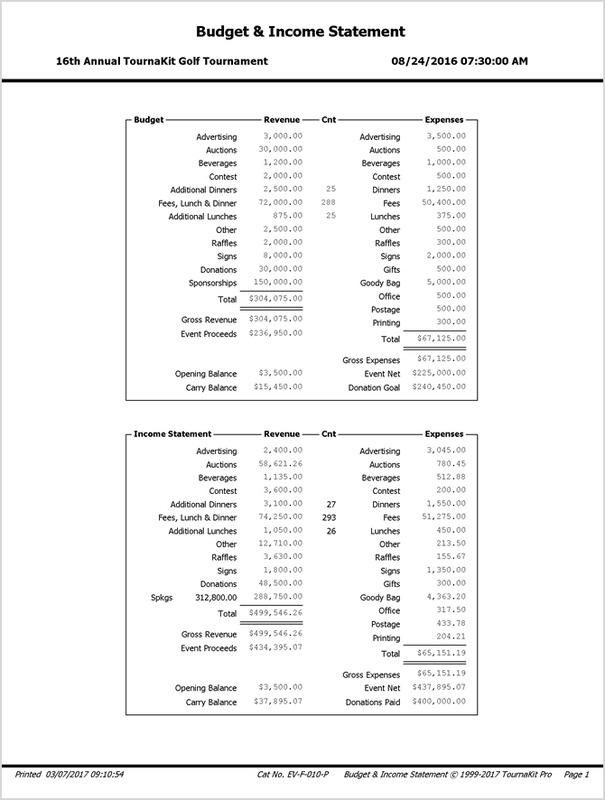 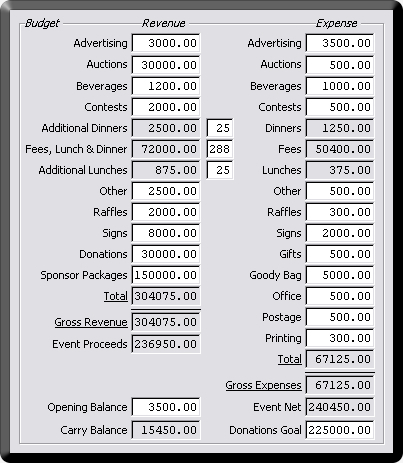 The Financial Summary features a budget calculator, income statement and cash flow summary for all aspects of the charity golf tournament. 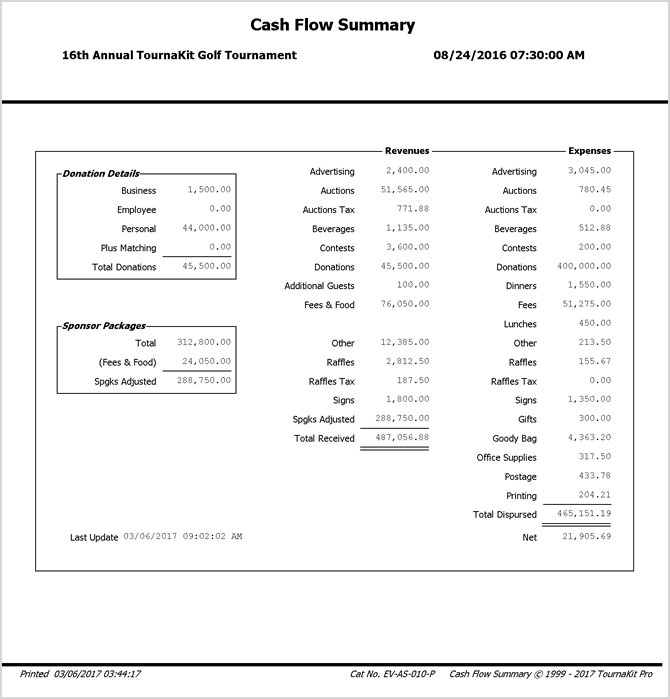 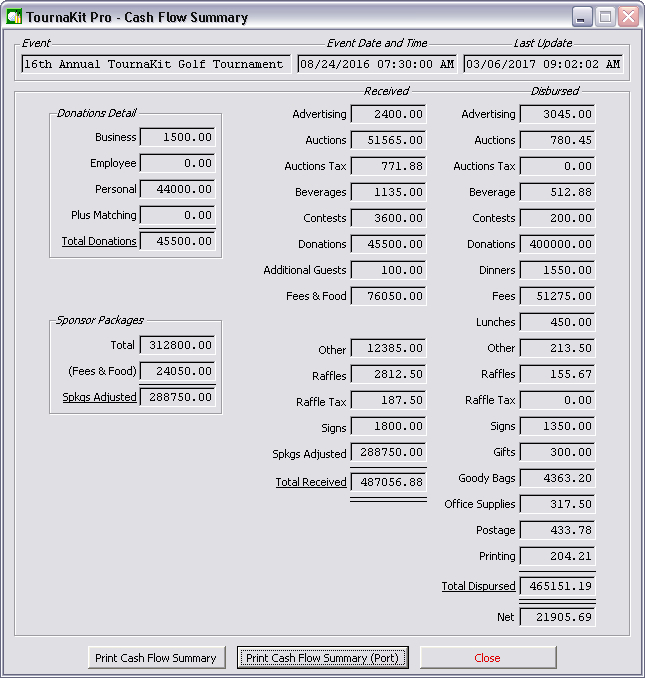 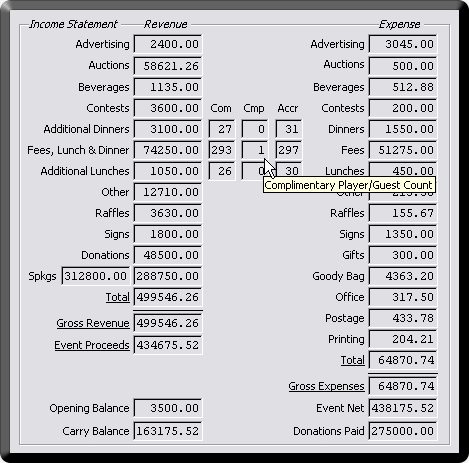 Dynamic Income Statement updates automatically from all sections of TournaKit Pro Charity Golf Software. 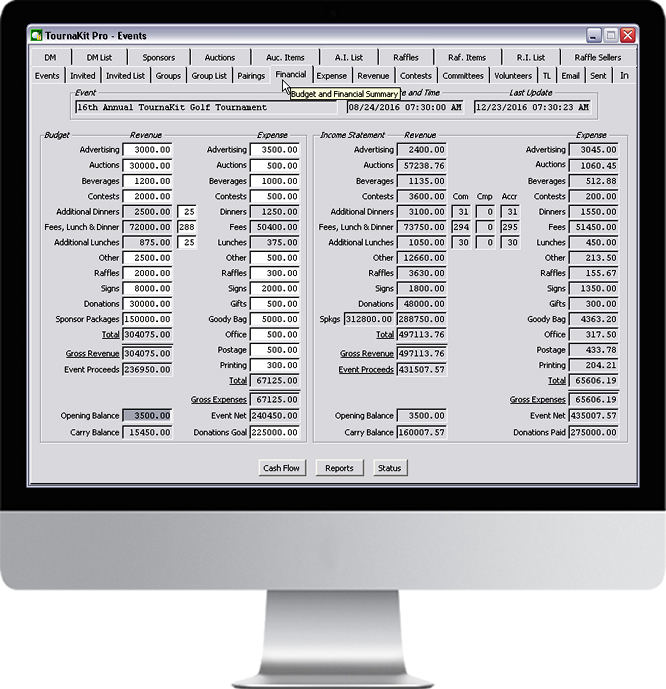 Included in the financial automation are systems to accurately account for the expense side of complimetary payments.